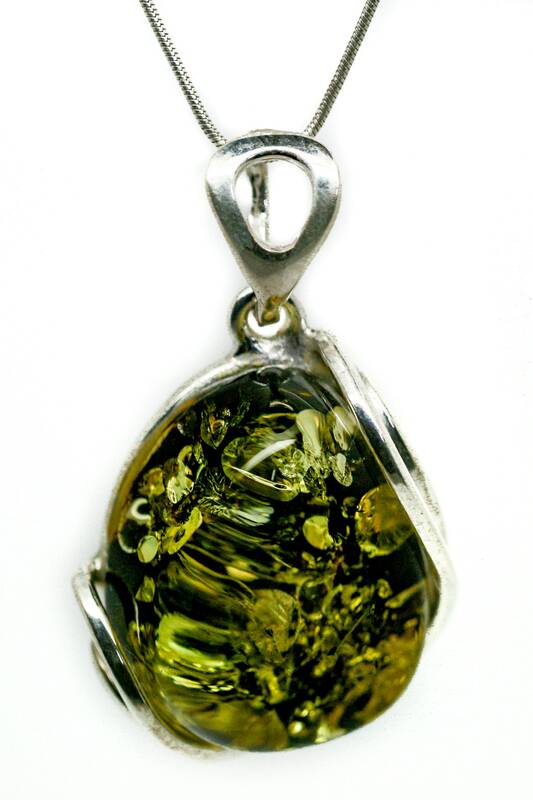 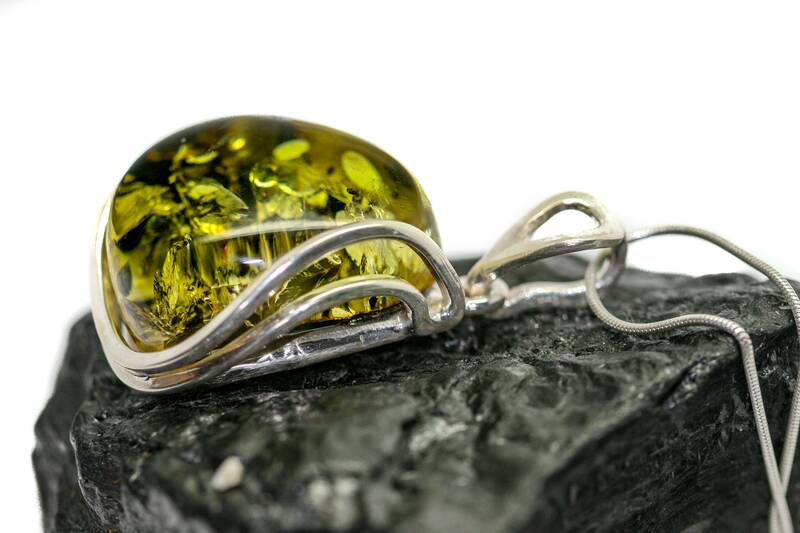 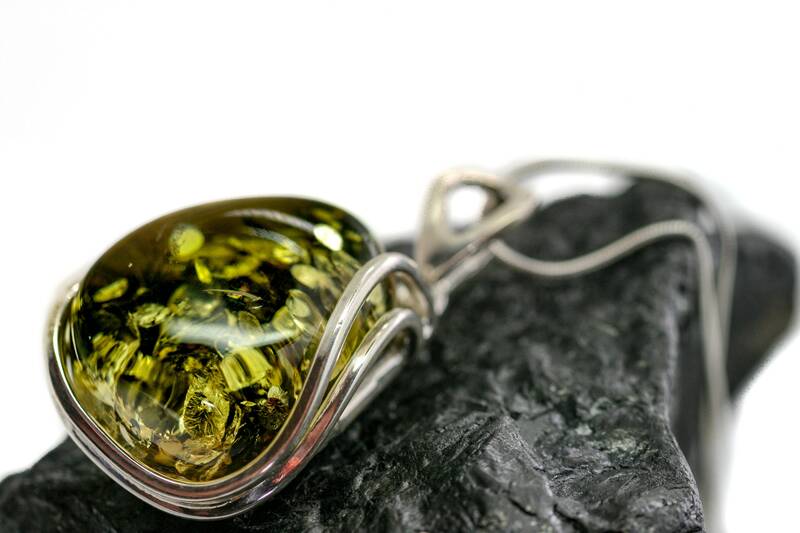 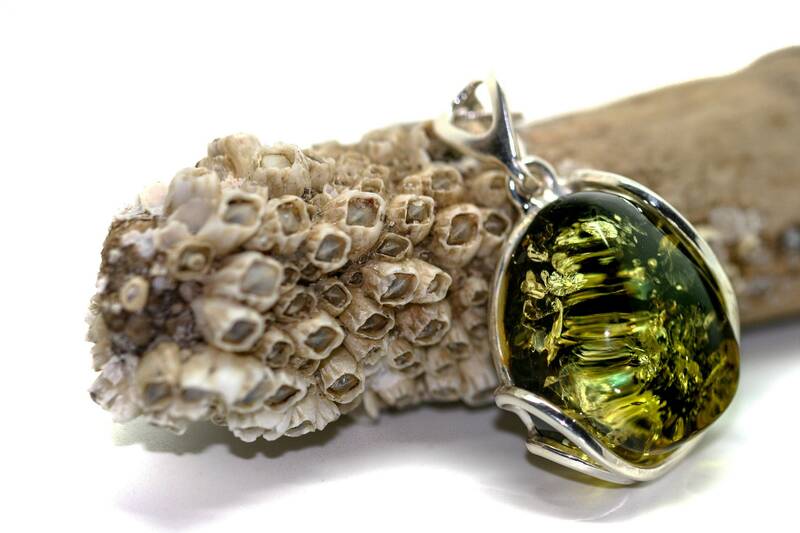 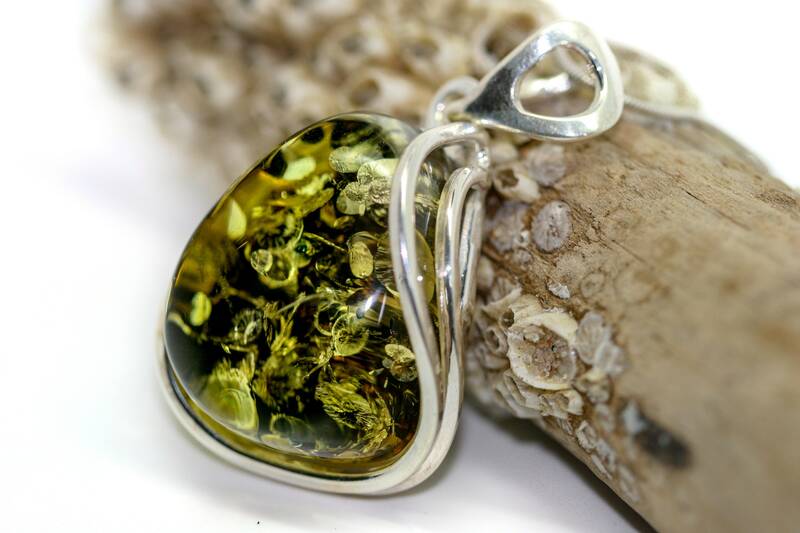 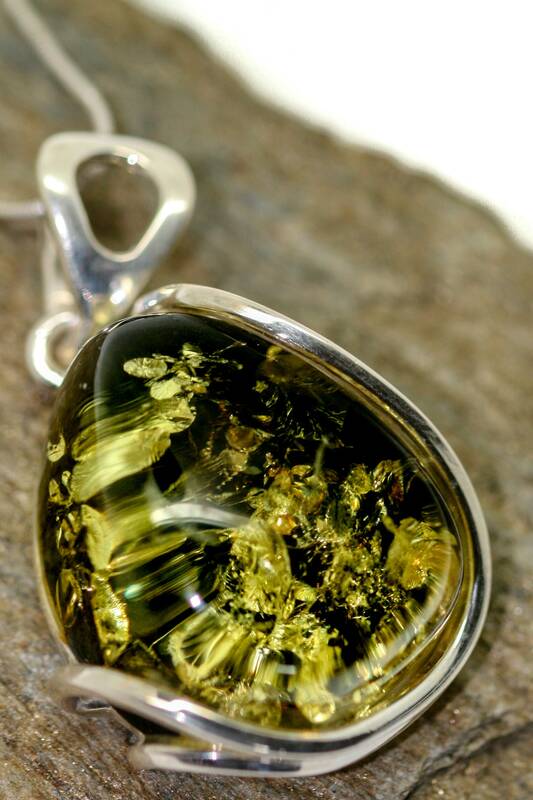 We are happy to present green shade piece of amber fitted in a modern sterling silver setting. 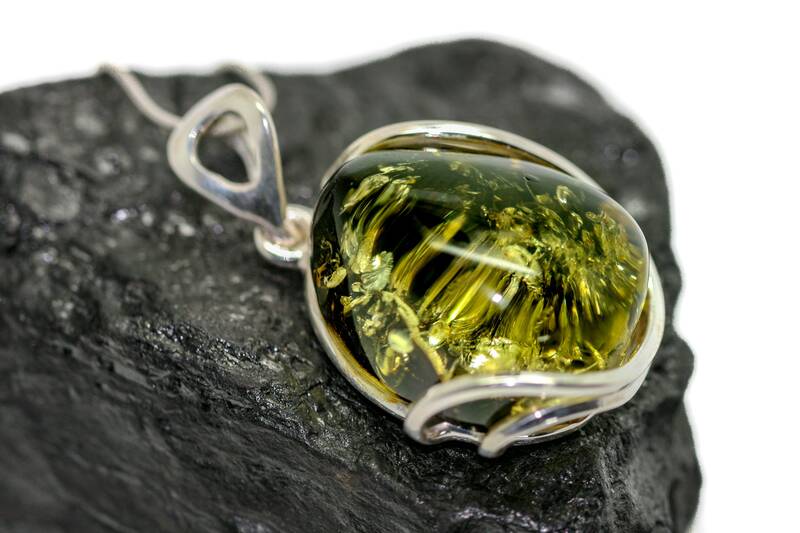 This elegant and unusual pendant is perfect for everyone. 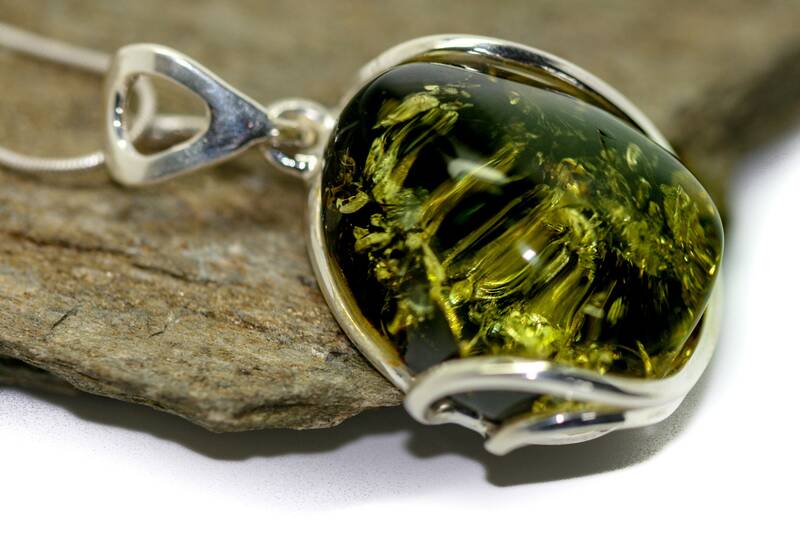 Size of the design: 39 mm length, 22 mm width.